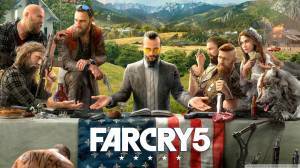 Far Cry 5 is the fifth main title (and the eleventh installment) of the well-known series. Set in the fictional Hope County, Montana, the player will assume the role of a sheriff's deputy in a mission to arrest the dangerously radical preacher named Joseph Seed who leads the fanatic doomsday cult called Eden's Gate.The cult has forcibly converted much of residents of the county through coercion and violence, to the point that they cannot contact the "outside World" for help. With the assistance of the local resistance group, the player needs to surgically and systematically loosen the cult's grasp of the country and its eventual elimination. Welcome to Supercheat's unofficial guide for the game. Please use the menu on the right to navigate. Also, please check out our YouTube channel where we also upload videos found in this guide, including videos not uploaded in this guide yet. Please don't mind the mess as we try to add more content regularly until the guide's completion! No discussions open for Far Cry 5 at the moment.